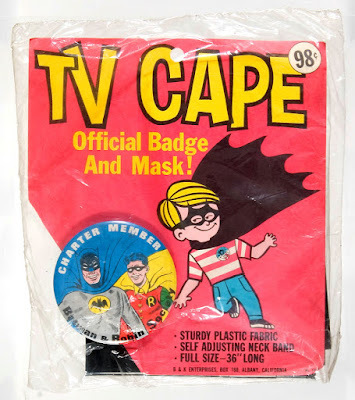 Never saw the badge with a cape. I remember a big ol' cardboard bin just filled with the loose badges. When you reached your hand down in it, you sometimes would get stuck if one of the pins on the back was open. I bought one and some kid stole it so I bought another which I still have.